Lower back pain is a common infliction that affects over 80% of the adult population at one time or another in their lifetime. There are also many causes, and it can be difficult to directly determine the source of the problem without medical intervention or a visit to the doctor or chiropractor. Some of the more usual causes are likely to be undertaking physical activity in which the body is not used to, such as strenuous gardening or lifting of overly heavy objects. This over-exertion can result in a slipped disk (or a herniated disk). This is a result of twisting, generally while lifting. A slipped disk sounds worse than it probably is. It is merely the occurrence of your spinal bone bulging slightly, and touching on some nerves. Some basic exercises can help to relieve the pain and rectify the slipped disk issue. Tip 1: Lie on Your Back. Now this may sound simple (and it is!) but it is also highly effective. Lie flat on the floor, with some pillows placed under your head and knees for support. This takes the strain away from your lower back. An alternative is to place a pillow on a chair seat, and rest your feet on the chair, with your back on the floor. It is recommended to stay in this position for around 5-25 minutes each session. This is a great way of resting the back and relieving the pressure off your lower back. You should perform this exercise for no more than 1 to 2 days in a row, getting up and walking around every hour. Heated pads will help to relieve muscle spasm. Use these for 20-30 mins at a time. Ice packs are also a suitable alternative. Some medications that assist in reducing swelling are Aspirin and Endorphin. Panadol is also helpful in controlling minor pain while you rest your lower back and recuperate. Massaging the lower back can help to reduce any inflammation and swelling. And as the muscles relax, circulation is increased and pain often lessens. If these tips are combined, together with much needed bed rest, your back pain should be gone and your back should be returned to its old self. We recommend you always consult with your doctor regarding all health matters. Also, it wouldn't HURT to call us at 321-268-1008 to see if we can help you lower your premiums in any way we can. Is Our Sharing Economy Creating New Risks For You? Do these sharing sites have the ability to protect your confidential information? Many times you are giving your credit card information to companies that may not have the ability to protect it. If you use Airbnb to sublease your apartment, you might check your lease. Many lease agreements have “no sublease” clauses that do not allow for this kind of activity. Also, some big cities are now actually considering outlawing the Airbnb services as it reduces hotel/motel taxes. Uber offers a taxi service where individuals can offer rides to those who subscribe. Are you confident that these individuals have had proper background checks? Are they experienced drivers? Do they have the correct insurance? Remember, even in states that have mandatory auto insurance laws, over 25% of drivers don’t have insurance. Personal auto insurance issues should be considered if using your car for hire. There is a big difference in the auto insurance world between a car pool for work and being paid to deliver people. If you rent your primary home to others, it may limit your personal insurance coverage. Call our office for a review. The use of the new sharing economy will most likely continue and may be a good way to save money. However, if you have an uninsured claim, the cost may be much greater than the savings. Be aware that using these services may increase your risk of loss. The insurance industry will respond over time to the sharing economy, but in the meantime, there are limitations and restrictions in your current homeowner’s and personal auto insurance policies of which you need to be aware. As we edge closer to back to school and hopefully a much cooler fall, please consider contacting us for an 'autumn checkup' on all your insurance policies. 321-268-1008. As always all, of us at American Insurance - 321-268-1008 appreciate your business and the trust you have placed in us. 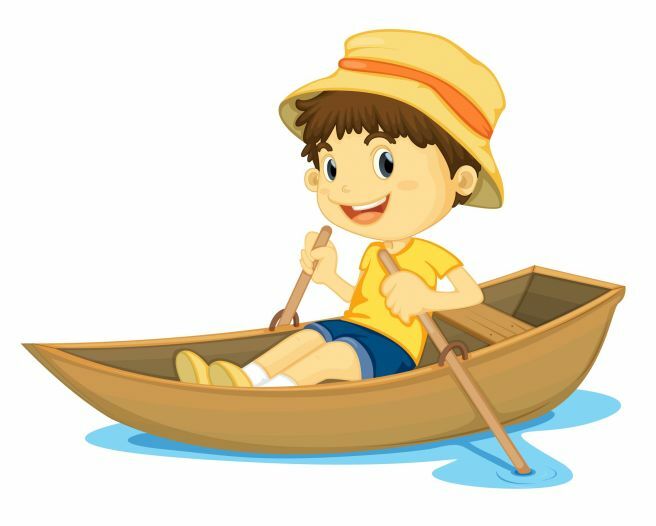 Boating is a great adventure on any type of boat and is being enjoyed by many on a daily basis, but with that comes a great responsibility. It is not mandatory to do a boating course at this time, but there are some excellent reasons to get your self-informed about the rules of the road. You will learn about safety equipment and what you are required to have on your boat before you undertake any boating excursion. This is very important because what you don’t have with you could make the difference between being able to handle a situation or not. You will learn that driving a boat is vastly different from driving a car. You are dealing with air and water currents. If you have never docked a boat you may think that it is easy until that is, the current is pulling you in the opposite direction that you want to go. Knowing how to work with lines and tying knots is part of boating. You have to be able to secure a boat properly. If your boat gets away, it is amazing how quickly the current will take it out of your reach, and you will probably require the assistance of another boater to help you get to it. You will learn what the channel markers mean. We learned the hard way the first time we went out on a boat and ran aground outside the markers. We also had no clue what the red and green markers meant on the poles. This you also learn on the course. There are speed limits on certain water ways, but unlike the roads, they may or may not be posted. Ignorance may not be enough to get you out of a ticket. Using charts for coastal navigation can be a lifesaver. It’s your roadmap that helps you stay away from the shallows and shows where all the markers and bridges are, and by using measurements, you can calculate the distance and time it will take to get somewhere. Just like on the roads, there is the right of way. On a boating course, you will learn who has the right of way and why. Every boat should have a horn. You may hear one long toot or 2 short toot and so on, and you’ll learn what they mean. There are boating regulations and laws that must be followed by all boaters, for example, (and I have seen this rule broken so many times), you are not allowed to sit on the bow of the boat with your feet hanging overboard. Anchoring a boat is not just a matter of plopping it down in the sand. There is a mathematical technique applied to anchoring that has to do with the size and length of your boat. Knowing how to do this correctly will give you that extra insurance of knowing your boat is going nowhere until you want to move it. Thanks for choosing American Insurance - 321-268-1008. We know you have many choices when purchasing insurance and we want to thank you for choosing us as your insurance agency. As a professional insurance agency we pride ourselves on maintaining long term relationships. Please keep us in mind when your family and friends are looking for a referral. In a search for happiness, many people look for it in other people and not within ourselves. Many people feel that things like money, a better job, better relationships..etc will make them happy. In reality, to find true contentment you must look inside yourself and learn to be your own best friend. That means you have to trust, love, and care for yourself just as you do the people you consider to be close to you. Following are steps that you can incorporate into your life that will help you to feel more empowered and happy about yourself! Begin to lift yourself up, not put yourself down. If you don’t like something about yourself, work to change it. If you can’t change it, simply accept it. Don’t beat up on yourself with negative self-talk. You’re not likely to change for the better when you fill yourself with negative thoughts. Give yourself positive rewards. When you do something that you are proud of give yourself a small reward. Try not to wait for others to praise you because you may grow resentful if the praise doesn’t come. Pat your own back, it is a great feeling that can stay with you for a long time. Forgive yourself. I doubt that you would keep scolding a child over and over for making a mistake so don’t do that to yourself. Give yourself the gift of forgiveness when you make a mistake. After that, work to figure out what lesson you can learn, and use it to make better choices the next time around. Enjoy your successes. Most people can remember all of the details of depressing, painful or even embarrassing events that happened many years ago. What if you did the same thing with all of your wins? Try to remember all of the triumphs and accomplishments that you’ve made and keep that memory with you and think about it at least once a week. Consider writing them down too. Always remember to celebrate your wonderful qualities! You will soon discover that the more you love yourself, the more you will be able to give love to others – and the more others will be able to love you! Thanks for choosing American Insurance - 321-268-1008.- We know you have many choices when purchasing insurance and we want to thank you for choosing us as your insurance agency. As a professional insurance agency, we pride ourselves on maintaining long-term relationships. Please keep us in mind when your family and friends are looking for a referral! Are You Considering A Video Surveillance System? Today’s technology has made setting up security precautions such as security cameras a cinch! You no longer need to be a millionaire to set up one. You could even install one yourself! Security cameras provide a means for its owner to watch over his or her property from the safety and convenience of any area he chooses. This type of system is a great deterrent to thievery and unwanted entry. Most organizations that have sensitive items or are off limits to the general public employ these cameras to help keep their places safe. Purchasing and implementing such a system may save your business from the terrors of illegal entry. Investment in such could save you a whole lot of trouble. Before purchasing a system, you will want to consider the following factors. Study your needs. The type of security measures installed will depend on your specific security needs. For example how large is the area you would like covered? How many cameras will it take to monitor this area? You must make sure the security camera system you will purchase can accommodate enough slots for expansion. Do you need audio too? Some camera systems have audio recording equipment as well so you can not only see what happens but hear it as well. This is important in cases when you would like everything documented. However, this may be costly. Many establishments only require video records of their security. Also, you must ascertain whether you need to have your security cameras record in color or black and white. Color cameras are, of course, more sophisticated and show a clearer picture. However, they tend to be pricey. Color cameras might also not work in low-light situations. Consider the location of the cameras. Will the site be hard to set up? In that case, you may want to consider wireless security camera systems. However, these cameras must be in a place that is conducive to high-quality broadcast. There must be no interference. They can, be moved around the area. They are a bit more flexible than their fixed-wire cousins. Will the camera system be for outdoor purposes? 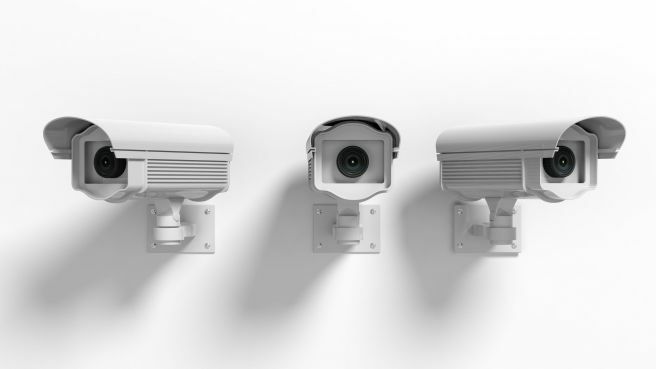 Cameras that monitor outdoor locations need special weatherproof housings and may not be recommended for extreme temperatures and various elements. Also, those that may be vandalized must be protected against such. Also, you must take into consideration the lighting for an area. If your camera cannot record a scene due to bad lighting, you will end up with muddy images that won’t help in your surveillance activities. Choose a security camera that has excellent sensitivity to light. Also, try to illuminate such areas with external lighting. You must consider where the power sources will be located. Make sure they are well protected from the elements and tampering. Consider the available methods for recording the images. You may use a variety of backup media. And with the advent of computer storage media, even the use of hard disks, compact discs, and DVDs can prove to be an inexpensive way to store your data. Thanks for choosing American Insurance - 321-268-1008 - We know you have many choices when purchasing insurance and we want to thank you for choosing us as your insurance agency. As a professional insurance agency, we pride ourselves on maintaining long-term relationships. Please keep us in mind when your family and friends are looking for a referral!